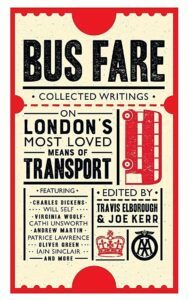 I’ve done a book review for the London Society on a new collection of writing about London buses and the bus network called ‘Bus Fare’. 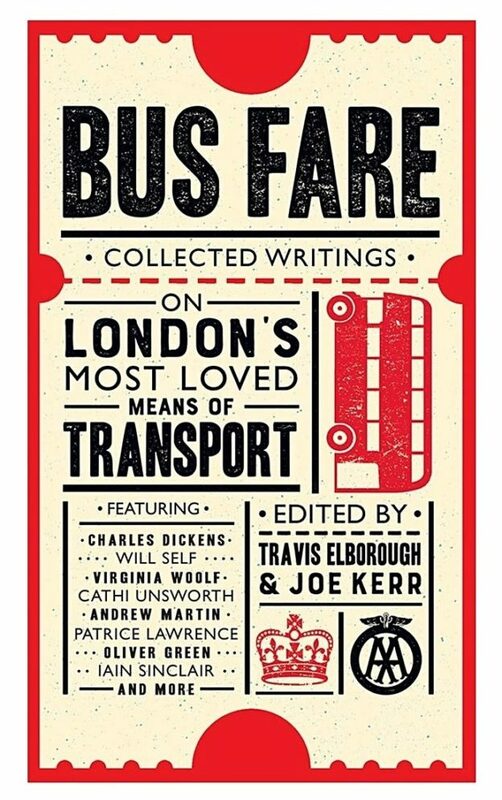 It’s a great read – about 100 different articles, letters, diary entries, journalism, biography, even fiction – about the history of ‘the buses’ and, more importantly, the cultural associations and the place they inhabit in the soul of Londoners. We probably all have our favourite or most-used routes, the ones that we have travelled on so often that we can make the journey in our mind’s eye. For me that is currently the 87, from Battersea Arts Centre to Whitehall, the long haul down the Wandsworth Road giving views right across to North London as the land falls away toward the river, the megalopolis that is growing up around Nine Elms and the forest of cranes at the Power Station; Vauxhall, which has gone from being the site of the Big Issue and a Sally Army hostel to being yet another hipster nexus; then across the bridge past MI6, MI5, Tate Britain, the Abbey and Parliament. I hope you enjoy the review, and if you can grab a read of the book itself, it’s well worth the time. This entry was posted in books, The Blog and tagged bus fare on 12/12/2018 by donbrown.